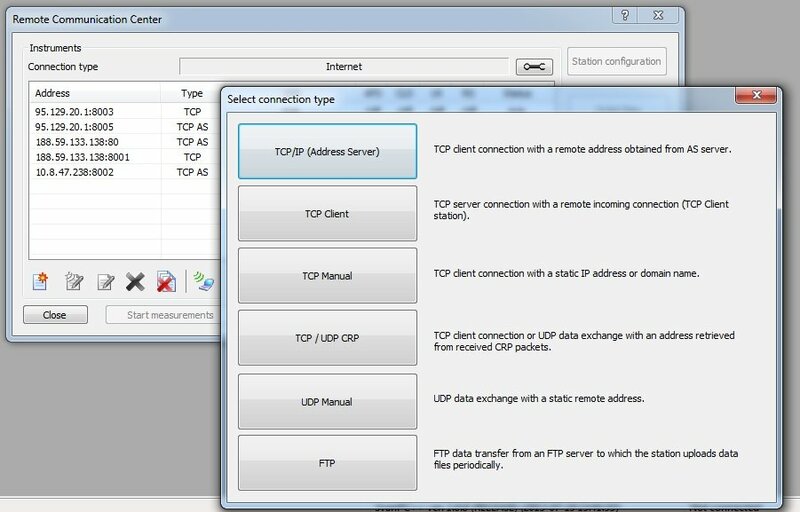 SvanPC++ Remote Communication Module serves as a remote communication tool with SVAN devices, using different interfaces: direct connection by RS232 or USB cable, GPRS modem, Internet, LAN (Ethernet). Its main functionality is establishing remote communication with Svantek instruments with remote communication capabilities (i.e SV200, SVAN977). SvanPC+_RC supports downloading measurement results from instruments to PC and also manages instrument settings (Setup Editor). Support of multiple instruments and advanced alarm functions (e.g. sending text messages) were also implemented in RC module. Measurement data can be downloaded regularly or on user’s request . Advanced options of remote sessions which offer on-line data monitoring are also available. Sophisticated mechanisms for optimisation of GPRS transmission especially in case of lost connections.